Not available for shipping to addresses in Germany. 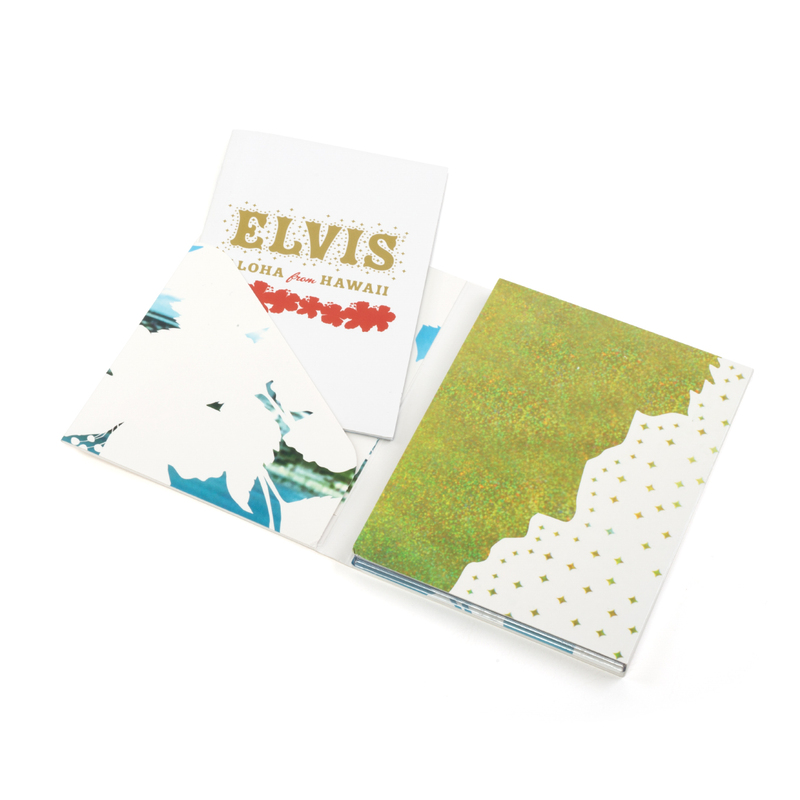 Elvis made television history with his "Elvis: Aloha from Hawaii" concert TV special. Viewed by over 1 billion people worldwide, this was the first live concert broadcast via satellite. 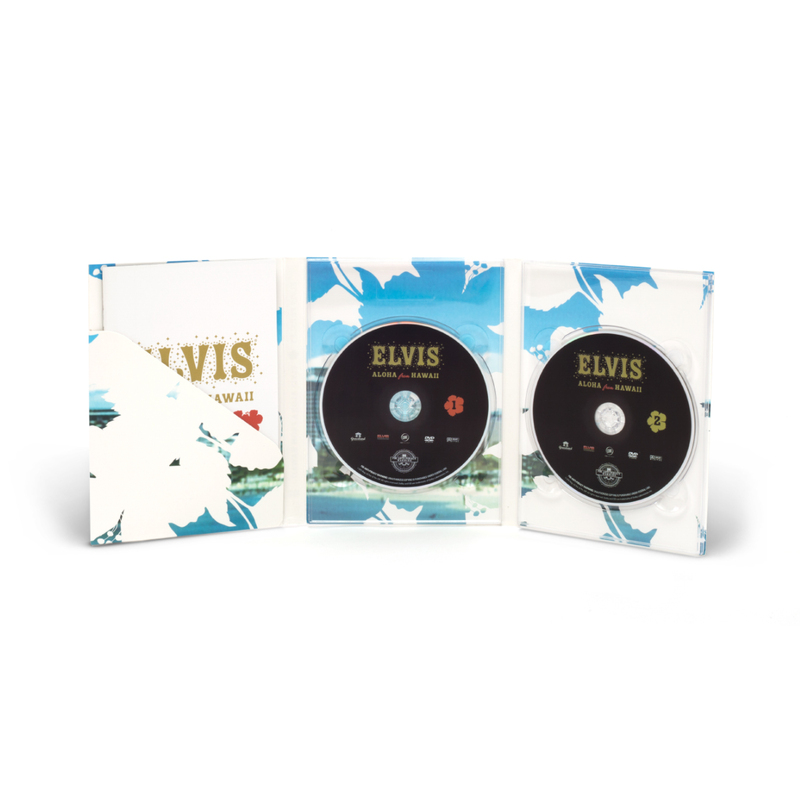 This deluxe 2-disc DVD with discography booklet contains more than 4 hours of concert footage that includes Elvis' rehearsal concert, the TV concert with and without edits along with additional bonus footage. 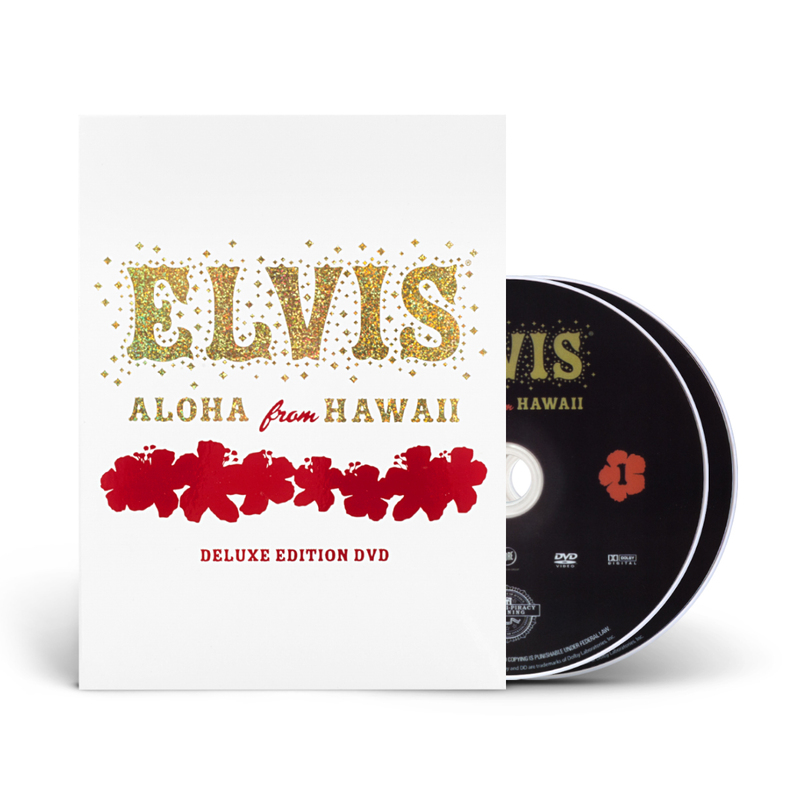 Elvis Presley made television and entertainment history with his Elvis, Aloha from Hawaii concert television special. The performance took place at the Honolulu International Center Arena in Honolulu, Hawaii on January 14, 1973. The concert was beamed live via Globecam Satellite to Australia, South Korea, Japan, Thailand, The Philippines, South Vietnam and other countries. It was seen on a delayed basis in approximately thirty European countries shortly after. It did not air in America until April 4th, when an edited version of the concert, expanded with songs videotaped just after the live event, was presented on NBC. That broadcast attracted 51% of the television viewing audience. In all, it was seen in about forty countries by 1-to-1.5 billion people. A global smash. Never before had one performer held the world's attention in such a way. Elvis, Aloha from Hawaii presents Elvis Presley at the pinnacle of his superstardom, giving one of the most outstanding concert performances of his career. This two disc set shows that everyone, but most especially Americans, missed much of the best that Aloha had to offer. The concert and the rehearsal show from the night before are included here, re-edited from scratch and restored to absolute completeness, along with the complete after-concert insert-songs recording session and the complete raw footage from the staged "arrival in Honolulu" scenes with Elvis for the opening of the special. There's also the American broadcast version to which to compare them. It's a fascinating journey no matter in what order it's watched. 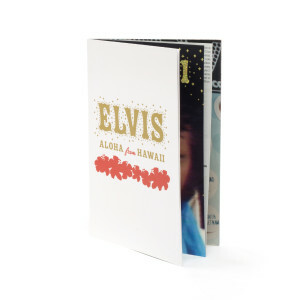 It is the most authentic, in terms of fidelity, to a great '70s Elvis show; by far the most exciting version of Aloha that has ever been presented. The complete footage of the post-concert session Elvis did to expand program content for the American broadcast - never before available in complete, raw form. The complete footage shot for the "Elvis arrives" sequence for the opening of the television special - never before available in complete, raw form. The original American broadcast version of the Elvis, Aloha from Hawaii television special. Beautiful, special and deluxe booklet with extensive historical text, never-before-seen photos and rare memorabilia. Elvis, Aloha from Hawaii Concert - January 14, 1973. Elvis, Aloha from Hawaii NBC TV Special - April 4, 1973 Broadcast Version without the commercials and most of the TV announcer bumpers interrupting it, this is how America first saw Elvis, Aloha from Hawaii on television. SEE SEE RIDER; BURNING LOVE; SOMETHING; YOU GAVE ME A MOUNTAIN; EARLY MORNING RAIN; STEAMROLLER BLUES; MY WAY; LOVE ME; IT'S OVER; BLUE SUEDE SHOES; I'M SO LONESOME I COULD CRY; I CAN'T STOP LOVING YOU; HOUND DOG and many more! 2-DVD SET with OVER 2 HOURS of unseen material! Elvis at his finest! Wonderful music and Video and Pictures! I Love It! Well worth what I paid for it! A fitting preservation of one of The King's crowning achievements. Thang ya, thang ya vera much! 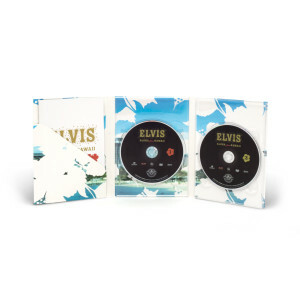 This is the best Elvis show on DVD that there is. Love it. Is this the same dvd set that has been out for years or have they added. A la hauteur de toutes les attente,un etre sublime comme ses chansons et ses concerts. Simply The Best I had the pleasure of seeing Elvis twice in concert and this is truly Elvis at his “raw” audience controlling best. What you see is indeed what you get. Singing a varied menu of songs, styles, and unexpected Elvis keeps the audience in the palm of his hands proving why he is “simply the best”. 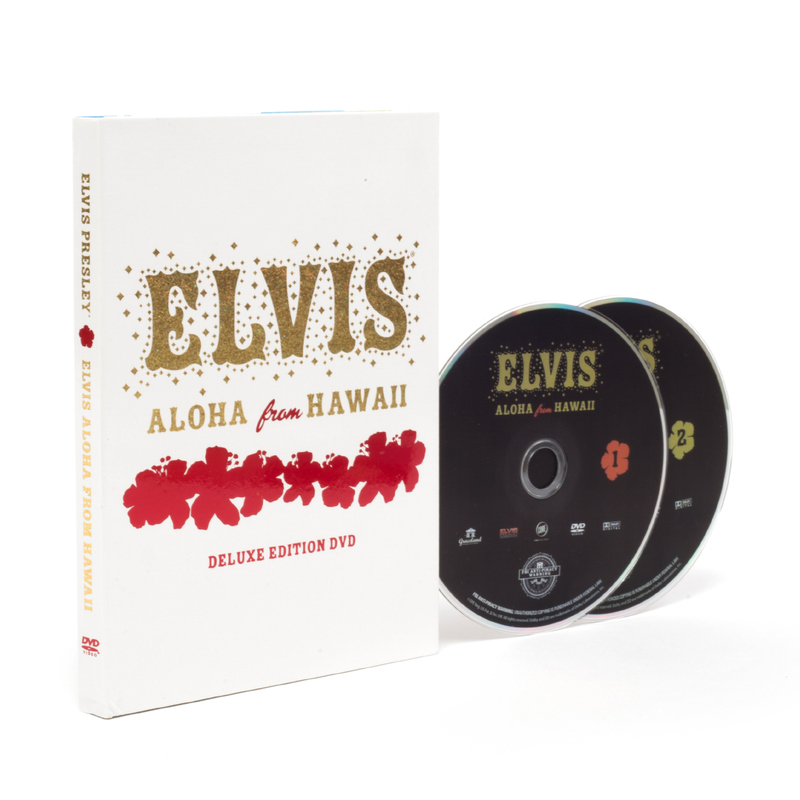 Being that the Aloha Show's are my all time favorite Elvis concert's this dvd boxset was a no brainer buy for me. I love how everything was re-done video wise. Elvis looks and sings magnificent. The sound is beautiful. A must have for any Elvis fan. Now how about releasing it on Blu ray disk? They say it cant be done but I know otherwise. Do you want to know what is truly great about this DVD? Absolutely everything. They did it all right. The two shows, the pre-concert footage, I mean everything. In fact, I have every movie, 20 concert CD's and 89 total Elvis CD's and this DVD set is a must have. I can't say enough about it. The packaging and insert booklet is worth the price. So bootleggers,go away. Fans need the real deal and this is certainly it. Now, for the topping on the cake, order the just released "Fashion" book with the two included concert CD's and you will have a great package deal of the king. I am grateful for this DVD set, really! Awesome coverage and outstanding work on the remastering. By far one of my most treasured DVD's in my collection. I hope that someday, the video from Madison Square Garden(if it exists), will emerge and if it does, I will be one of those lining up days in advance to get my copy of it.